Many homeowners and landlords want to enjoy the peace of mind that heating cover offers. Heating cover is when you pay a monthly fee by direct debit, and in return, you receive a boiler check and breakdown repairs if required. Many large heating companies and energy companies offer this service, however, the devil is in the detail, and there are usually some poor conditions. Firstly, most will only carry out a boiler inspection. This is NOT a boiler service. An inspection is a visual check and a check of the combustion and gas rate. Often, the engineer will not even remove the boiler casing. 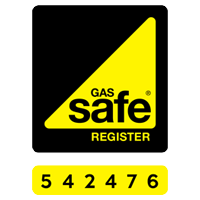 This is adequate for a gas safety inspection, but falls short of servicing a boiler. Servicing is important for helping the boiler to avoid premature failures due to blockage and overheating issues, among other things. Secondly, most companies charge an excess call out fee to keep their monthly fee attractive. This may initially make the policy affordable for you, but when you have to pay £50 or £100 to call an engineer out, you might start to wonder if it was worth taking the policy out in the first place, when you could’ve just hired somebody when you needed them. At Option we offer an unrivalled heating cover plan, with boiler services, no excess charges and money back guarantees on our attendance times. No other company is offering this. Breakdown attendance within 24 hours or your money back. This means that if we are late, you get the annual service and repair free of charge. That’s how confident we are that we can get to you this fast. 365 day service. Bank holidays included.